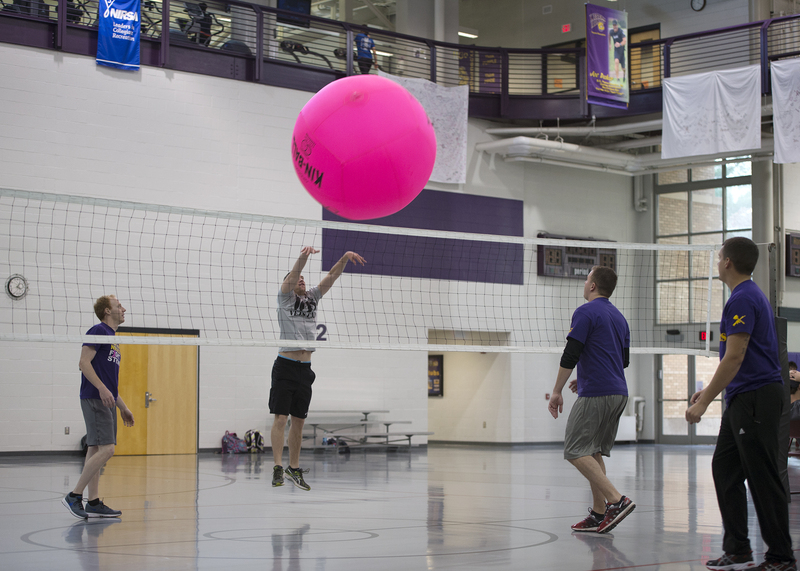 MACOMB, IL – The Western Illinois University Big Pink Volleyball Tournament, an annual event to raise money for breast cancer charities, will begin Monday, Oct. 16 in the Donald S. Spencer Student Recreation Center. The tournament runs through Thursday, Oct. 19 and games are played from 4-9 p.m. each evening that week. The event, co-sponsored by Campus Recreation and Thompson Hall, has raised more than $122,000. The program was started in 2002 by retired WIU Campus Recreation Associate Director Judy Yeast and has sparked at least 15 other universities across the country to start a tournament. Teams play with a four-foot wide, hot pink volleyball. Proceeds from this year's tournament benefit McDonough District Hospital's Dolores Kator Switzer Women's Center. There are three ways to participate this year, by registering a team, buying a shirt or making a donation. Teams must have between four and six players and can be co-ed or single gender. Teams will be slotted in one of five brackets: residence halls, clubs/organizations, Greek, faculty/staff and independent. Rally scoring is used. Registration forms are available at bit.ly/2xYFid6 and must be completed by 4:30 p.m. Tuesday, Oct. 10. A registration table will also be set up in the University Union from 3-7 p.m. Monday, Oct. 9. T-shirts can be ordered by emailing Thompson Hall Complex Director Andrew Haugen at AJ-Haugen@wiu.edu.